Also known as the “Tar Heel State”, North Carolina is located in the Mid-Atlantic and east coast region of the United States. 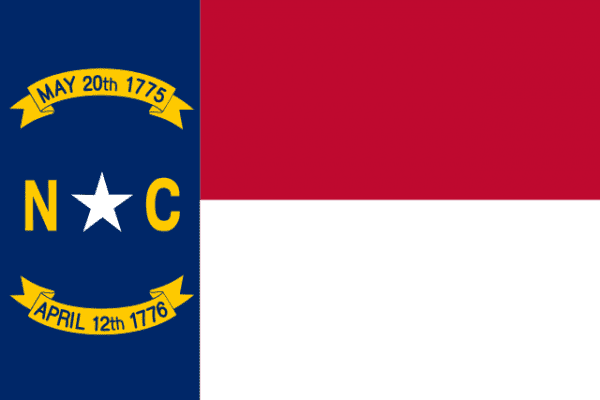 Entered into the union as the 12th state and part of the 13 original colonies in 1789, North Carolina is home to a diverse climate and landscape. The east coast meets the Atlantic Ocean and the west portion of the state is immersed in the rolling hills of the Appalachian mountains. Virginia is to the north, Tennessee is to the west, and South Carolina is to the south of the state. The capital of North Carolina is Raleigh but the most populated city and metro area is Charlotte. The state population ranks 10th in the country with over 9.8 million residents and ranks 15th in density. The weather throughout most of the state is subtropical and often experiences tropical storms and hurricanes. If you are looking for the latest scrap prices in the North Carolina area, you can find them on the iScrap App. Once users locate yards in their area, they have the ability to post the scrap prices they received from their yards. For metals like copper, steel, and aluminum this is helpful to keep track of the scrap market and prices. The economy throughout the state has grown from its early years of agricultural dependency and has many industries that relate back to the scrap industry. In popular cities in the state like Raleigh, Charlotte, Durham, and Greensboro there are many scrap yards in the surrounding areas which is good for those local industries. North Carolina has a focus on engineering, energy, biotechnology, and technology. For technology alone, the industry depends on new raw materials to produce and manufacture new products. Metals like gold, platinum, aluminum, stainless steel, and copper are important to the technology industry. The scrap yards and junk yards throughout the state will be able to buy your metals for scrap to help put the metals back into the process of refining. The salvage yards and auto wreckers in North Carolina can help you find the right replacement parts for your car and also arrange scrap car pickups. You will be able to see current scrap prices and request containers for larger scrap jobs in the state by using the iScrap App. Locate or search by zip code for the scrap yards in North Carolina on the iScrap App. PREMIUM YARD Lee Iron & Metal Co.